The carpets in your business or home represent a significant investment for you. 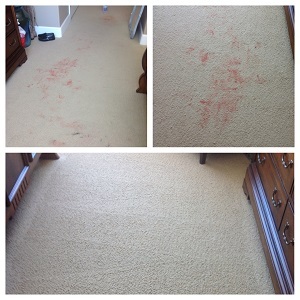 Protection of that investment and life extension of your carpet will be guaranteed if your carpets are professionally cleaned every 6-12 months. 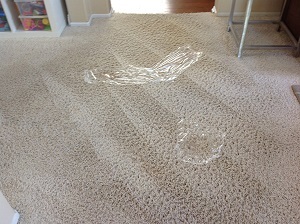 TrulyDry's Carpet Cleaning & Restoration uses a VLM (very low moisture) process which is far superior to alternative methods. In some cases more regular cleaning may be necessary depending on the quantity of traffic into your house. 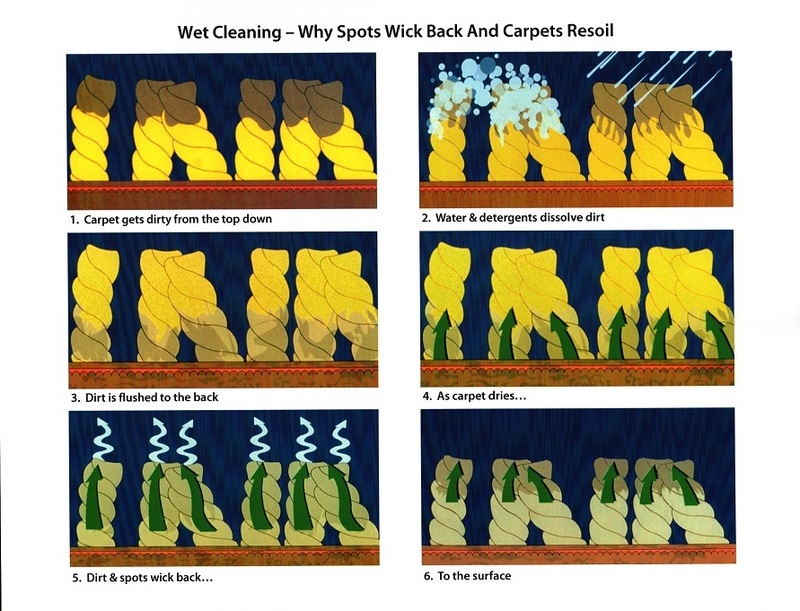 TrulyDry Carpet Cleaning would be happy to advise you on this to help make your carpets last longer. Most people still believe the only way to clean their carpets and upholstery is to "soak" them with water and detergents. 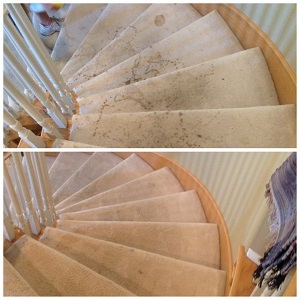 This method can actually force dirt deeper into your carpets and padding. When left behind, this water becomes a breeding ground for mold and bacteria in just hours! Ready for immediate use - No waiting for carpet to dry - No risk of mildew! Non Toxic - Safe for Children & Pets. Removes Dust Mites & other Allergens. Click for links to environmental brochure or MSDS sheets. Uses 97% less water than wet extraction. Used Host sponges - can be composted. All products are chemical free and biodegradable. 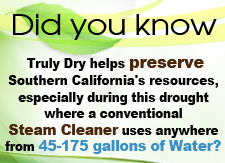 Interested in Water Conservation? 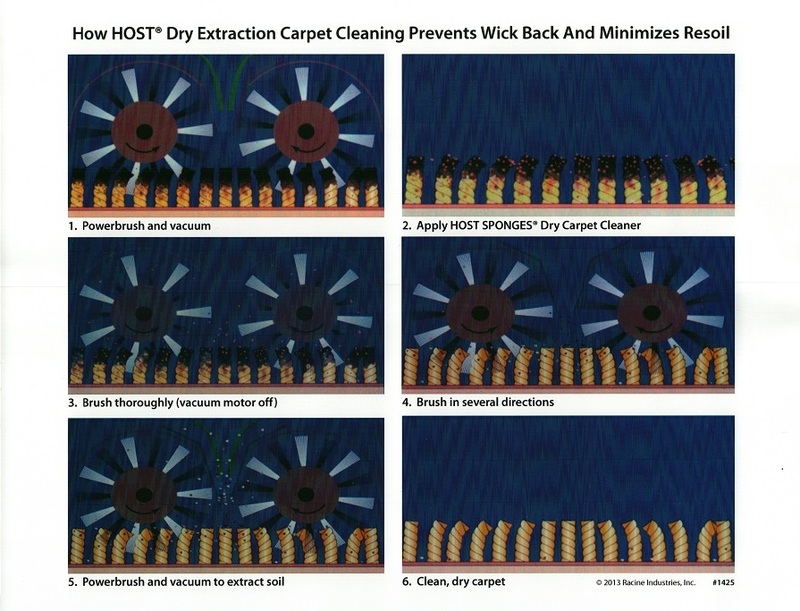 Click for a list of California Public Authorities endorsing Dry-Extraction carpet cleaning for Purposes of Water Conservation. 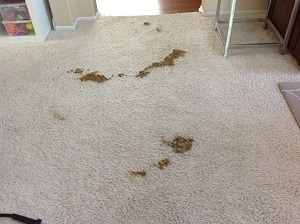 Pet hair and dander is hidden in your carpet. 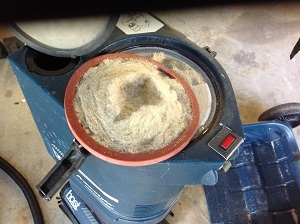 Our system removes this hair and dander and we proudly show you after we pick it up. HOST® has been tested and meets the requirements for WoolSafe accreditation. Advanced Formula HOST® Sponges Carpet is a soft, organic product that is environmentally friendly.